1/1000, ISO-400, f/9 on tripod. Great detail on the loon here,a lovely close up Ludo. 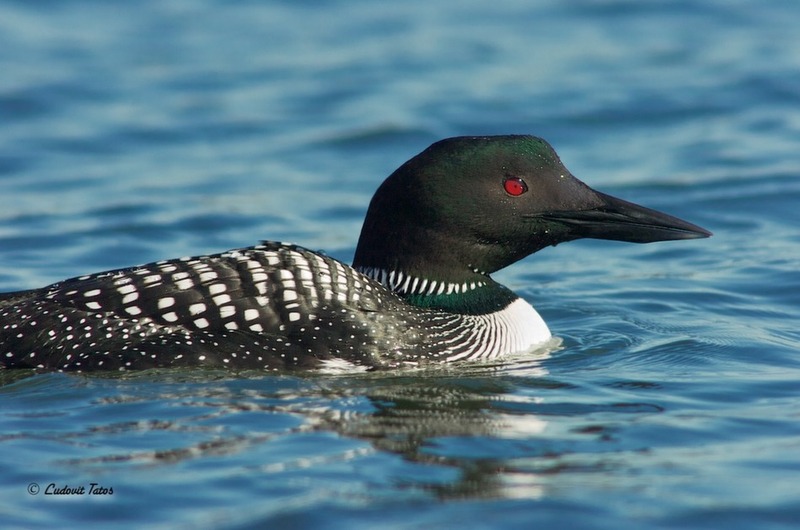 a great portrait image of this loon, the true colors LUDO. Ludo, you captured the iridescence and little water drops on the head especially well. And the detail is excellent. A very nice portrait. Excellent closes up showing the colors and pattenr well, Ludo. Lovely close up with good detail of this beautiful bird, Ludo. That are so skittish over here, they are usually just a dot in the distance, and that's when you can even find them, We have seen the odd ones in Scotland.